Another powerline kit to test today, but this time from a firm favourite of The Test Pit's - Netgear. If you've ever slapped your face in misery because your existing WiFi router just can't project that all-important signal far enough into your house, leaving the dreaded 'dead spots', consider a poweline kit, and definitely consider this one. 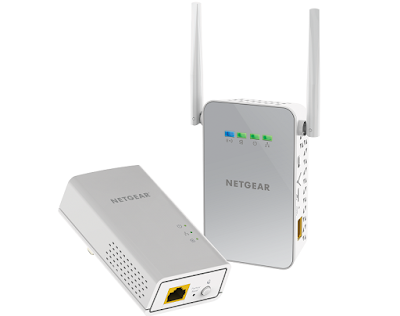 We review the Netgear PowerLINE 1000. Right, for those not in the know (by the way, the know is very empty without you), a powerline kit basically uses your existing electrical wiring network on which to piggyback an internet signal. 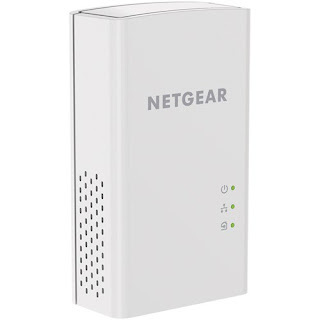 You plug the base unit into a socket near to your router, connect the router to it, then plug the receiver unit in anywhere in your home. This receiver then broadcasts the signal over WiFi, so you get a dedicated wireless internet network anywhere you want one. 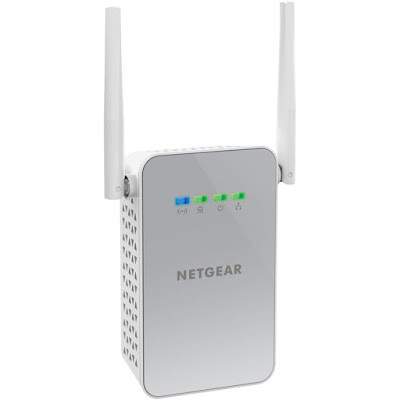 The Netgear PowerLINE 1000 follows those exact guidelines (or rather guideLINEs), being simply comprised of two separate gadgets that work seamlessly together. The base unit is a small and unassuming thing, with not much going on other than an Ethernet port. It is thin enough that it will fit down the back of a sideboard, or whatever might in the way of the plug socket closest to your router, and the LED status lights aren't too bright. Plug it in, connect it to the router, and forget about it. The receiver is far more interesting, featuring two positional antennae and being much larger in general. It is, after all, a WiFi router, but it is small enough to also be slipped down the behind things and placed in places where it won't be overly apparent. We plugged ours into a socket in the bedroom furthest from the main router, and it really wasn't something that drew the eye too much, despite those rabbit ears. 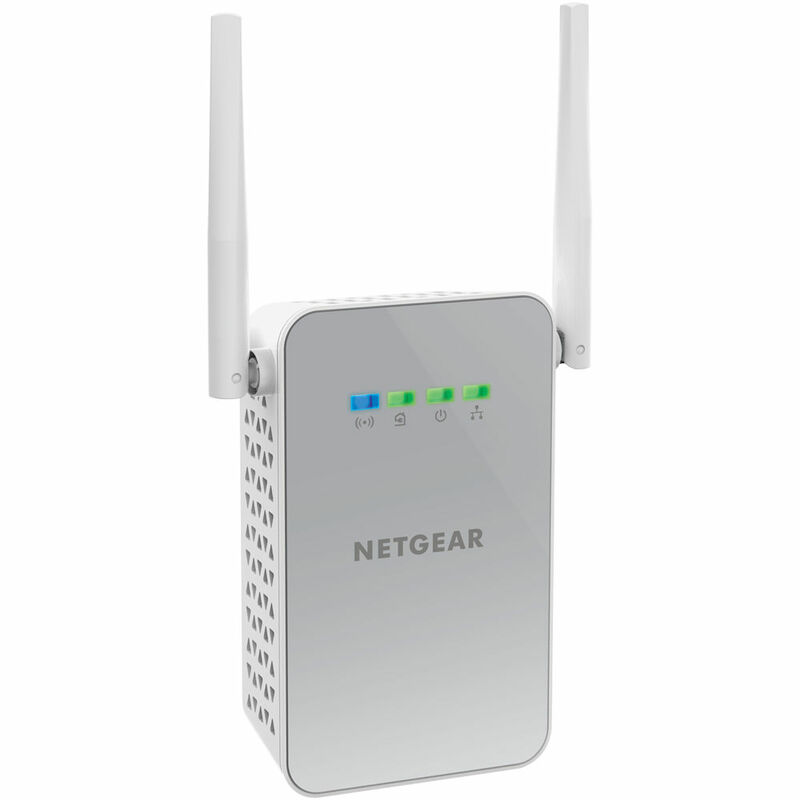 As the name suggests, the Netgear PowerLINE 1000 is capable of conveying the good ol' internet at speeds of up to 1000mbps. 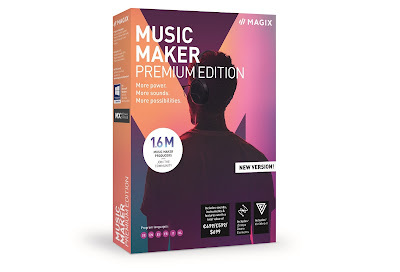 This is very good, and most of the powerline kits we've reviewed in the past that weigh in at a similar price normally only manage around 500mbps. As with all kits like this, the further you place the receiver from the base unit, the slower those actual speeds will be, due mostly to something to do with science that we've never understood. Still, even over the distance of the house's entire electrical network, through a floor and several rooms over, the speeds still hit about 650mbps. In use, that was more than enough for several devices to connect to the new wireless network and stream the likes of YouTube and Netflix simultaneously. It felt just like we were all connecting to the main router downstairs, but in a part of Test Pit Towers infamous for rubbish signal and speeds. Also, the whole setup process took about five minutes, and after about three weeks of continuous use, we've nothing negative to report. 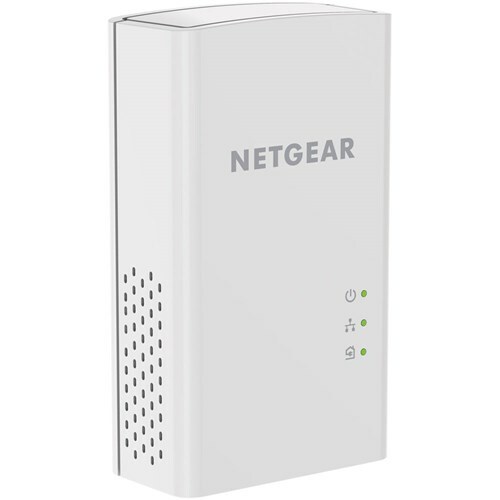 The Netgear PowerLINE 1000 kit might not be the fastest, but it is probably the best performing in terms of value for money. Easy to use, good subtle looks, and impressive results... it's a buy.